On the occasion of the Quit India Day, August 9, led by the Ahmedabad-based civil rights organization, Movement for Secular Democracy (MSD), eminent citizens, students, youths and civil rights activists paid floral tribute to the martyrs of the country's freedom movement, especially Vinod Kinariwala, a Gujarat College student, who was shot dead by the British during a procession. Participants recalled, Kinariwala's memorial in the college even today inspires thousands of Gujarat youth towards the noble cause for which he stood for. They also paid tribute to Umakant Kadiya, another student, who was martyred in 1942. Despite the scheduled examinations, Gujarat College students participated in the tribute programme, even as performing a short street play on Kinariwala. 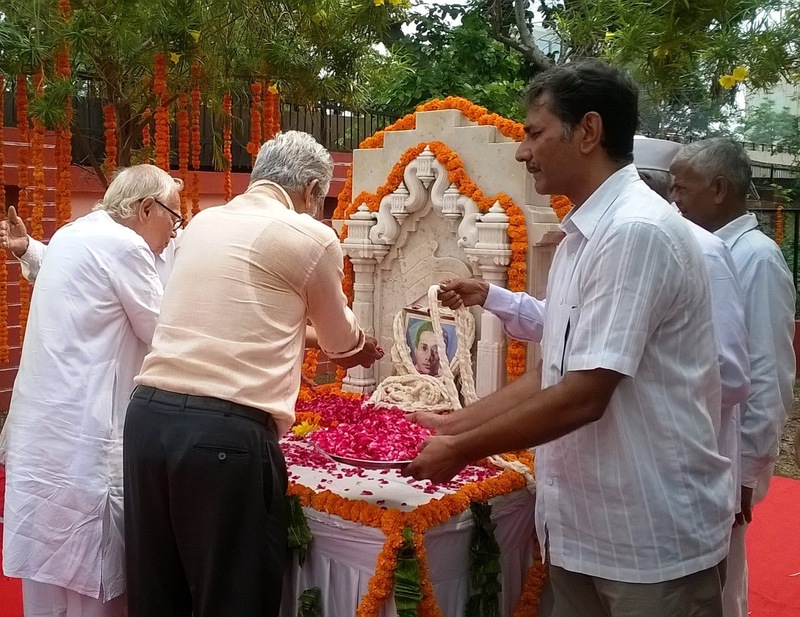 Prakash N Shah, MSD convener, secretary Dwarikanath Rath, and senior activists Meenakshi Joshi, Dr Raghvan Rangrajan, Dr Kanubhai Khadadiya and many others paid tribute to the Kinariwala. Jayesh Patel, Bhavik Raja and and other students sang freedom movement songs, while Shah spoke on the importance of the Quit India movement and called youth to come forward to fulfill the dreams of our martyrs, who sacrificed their lives for freedom. Important to remember the contribution of thousands of youth in the freedom struggle. Thanks for this.